Stories from our Rocky River and Cleveland area trips and our positioning move to Altoona, Pennsylvania. If not for the cellphones and digital cameras, the scene at the old Rocky River railroad station on Motherâ€™s Day might have been reminiscent of another time. 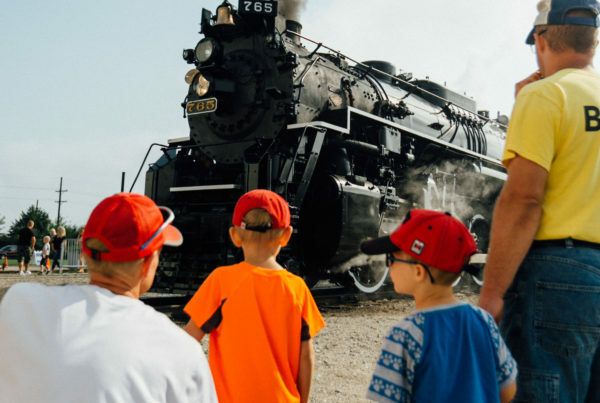 As during the heyday of the Nickel Plate Railroad, in the 1930s and 1940s passengers mingled with onlookers as they awaited steam locomotive No. 765, pulling the â€œNickel Plate Limitedâ€ on a 110-mile round trip to Bellevue, Ohio, and back. According to Beachcliff Market Square marketing manager Bill Brink, one of the passengers, tickets for the excursion, which ran from $99 to $249, sold out within three days. â€œThey started with over 300 and soon had that many on the wait list,â€ Brink said. More restored cars were added, and the final passenger roster topped 650. For Bellevue residents Dennis and Angie Ruck, it was a back-and-forth kind of day, as they got up at 5:30 a.m., made the hour-and-a-half trip to Rocky River to ride the train home, then back to Rocky River, where another drive to Bellevue awaited. â€œWeâ€™ve always wanted to take the train,â€ said Dennis Ruck, adding that this was to be their first trip on a steam engine. He added that he has lived in Bellevue for 18 years and has never visited the Mad River & Nickel Plate Railroad Museum â€“ the destination for the day, where a box lunch would be served. â€œThat puff of steam is so awe-inspiring,â€ commented Perrin Vezi, who along with her husband Dave is a veteran train traveler. â€œThe steam engine is so animated,â€ Dave Vezi commented. At about 8:50 a.m., the word came that the No. 765 was five minutes out, running a bit behind schedule. (Another difference from the old days was a smartphone app that follows the trainâ€™s progress). Police cleared away photographers and others close to the tack, then, far down the rails, a headlight appeared, growing larger as the steam-wreathed engine roared past the station, vintage restored cars in tow. As it rolled to a stop, passengers scrambled to find their car, and photographers swarmed, capturing every angle of the train from its massive wheels (about as tall as a 6-foot person) to the hissing front of the engine, bearing the numbers 765. After all were aboard, the haunting steam whistle announced its departure as the train rolled off to Bellevue, the small, white Rocky River station, now an office for Norfolk Southern railroad, becoming deserted once more. At about 4:10 p.m., the train returned to a group of about 100 onlookers, happy passengers disembarking. â€œIt was a fantastic trip,â€ Brink commented. He said that the trip to the museum, which was outdoors, was cut short partially due to the cold weather, featured a walk-thorough of an old post office car and a World War II troop carrier. The passengers then returned to their cars as the train, sounding its whistle again, disappeared into a cloud of steam. Freight trains pass each day near the banks of the Ohio. â€œItâ€™s a lot of fun and it gives the younger generation a chance to see what it was like in the old days,â€ said Jeff Bartlett of Cranberry Township. Vintage rail cars speak of luxury long past. Memorial Day weekend, it will carry passengers up Altoonaâ€™s Horseshoe Curve. Nickel Plate Road No. 765, a 404-ton Berkshire steam locomotive, rambled through Allegheny and Westmoreland counties on Monday on its way to Altoona. The dead-head trip â€” meaning the locomotive is without passengers or freight â€” continues eastward to the Harrisburg area on Tuesday. 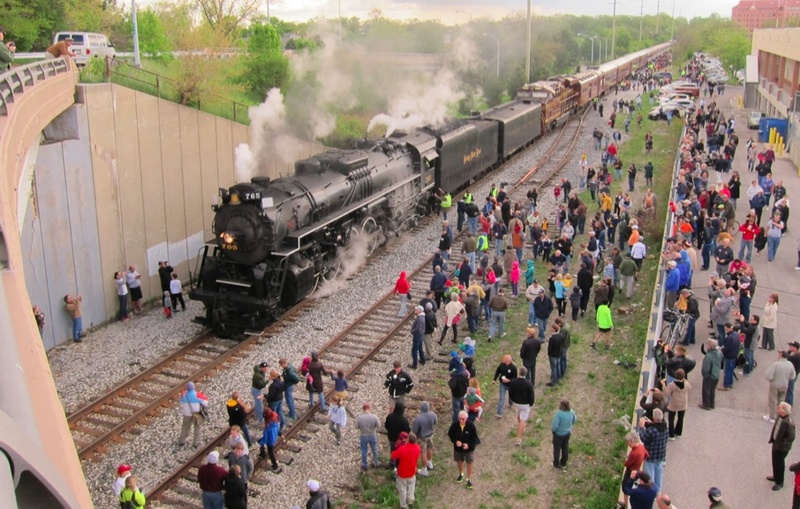 The Fort Wayne, Ind.-based locomotive, built in 1944, will carry Norfolk Southern employees around Horseshoe Curve outside Altoona on Saturday and Sunday, and will be used for public trips around the bend between Lewistown and Gallitzin from May 25-27. Tickets for the public trips sold out within 24 hours in February. No. 765 will pass through the Pittsburgh region again on May 29 and stop at the Conway rail yard in Beaver County. 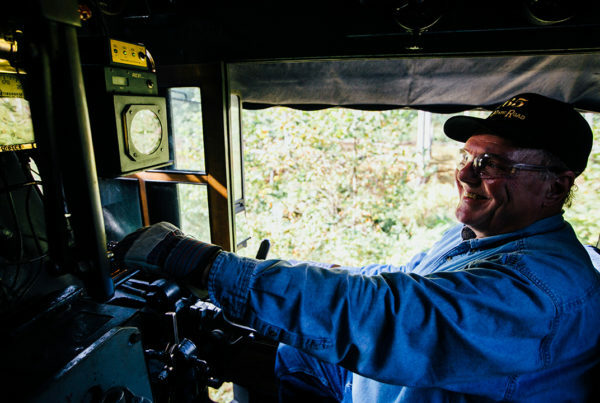 The steam locomotive covered more than 4,000 miles last year in Indiana, Illinois, Ohio and Pennsylvania, operating employee-appreciation excursions for Norfolk Southern’s 30th anniversary. 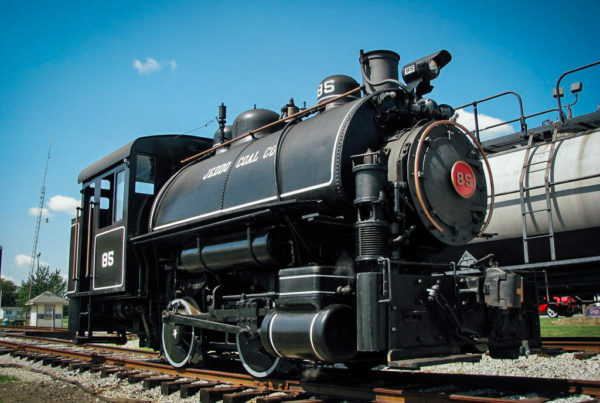 ROCKY RIVER, Ohio â€” Residents and train lovers in Rocky River were taken back to the days of steam power Sunday. The Fort Wayne steam locomotive No. 765 was in town, operating trips for the public. It departed Rocky River and was to head to Bellevue on a round trip. The locomotive was built for the Nickel Plate Road in 1944 and operated trains between Chicago and Fort Wayne until 1958. It later underwent an intense, five-year renovation effort costing around $750,000. It now is used, in part, for public trips.